I first discovered about the PagIBIG Loyalty Card when I was doing a transaction at a PagIBIG branch in Makati. The brochure says that PagIBIG Loyalty Card can give discounts for medicines, LPG, diesel, and other items from partner establishments. I’m skeptical at first but I decided to get the PagIBIG Loyalty Card when I read that I could get a 5% discount for medicines from The Generics Pharmacy (TGP). I thought that the TGP discount is very good since I was a regular TGP customer. The Loyalty Card that disappoints. This is fair and I agree with this reasoning. Well, this is understandable, because most The Generic Pharmacy Branches don’t have a computer to process the receipt. In fact, I can’t remember the time when I received a receipt for the medicines I purchased from TGP. Maybe I should alert the BIR about this. OK. This reason is making me think that The Generics Pharmacy DO NOT want me to avail any discount using my PagIBIG Loyalty Card. The TGP vendor asked me “Ikaw ba gagamit ng gamot?” made me so furious. This is the last straw and this made me think of NOT buying any generic medicine from TGP again. I am not sure if the PagIBIG Loyalty Card is honored by other “partner” establishments but my experiences with The Generics Pharmacy made me doubt PagIBIG’s promises. I felt short changed. My advice for those who are thinking to avail the PagIBIG Loyalty Card is that they change course. Don’t waste your money. 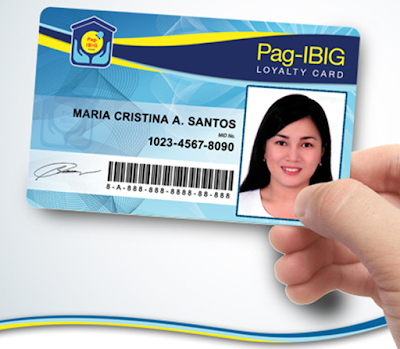 It is better that you try other loyalty cards than the one offered by PagIBIG.